One of the most important subjects for any student of engineering to master is the behaviour of materials and structures under load. The way in which they react to applied forces, the deflections resulting and the stresses and strains set up in the bodies concerned are all vital considerations when designing a mechanical component such that it will not fail under predicted load during its service lifetime. All the essential elements of a treatment of these topics are contained within this course of study, starting with an introduction to the concepts of stress and strain, shear force and bending moments and moving on to the examination of bending, shear and torsion in elements such as beams, cylinders, shells and springs. A simple treatment of complex stress and complex strain leads to a study of the theories of elastic failure and an introduction to the experimental methods of stress and strain analysis. 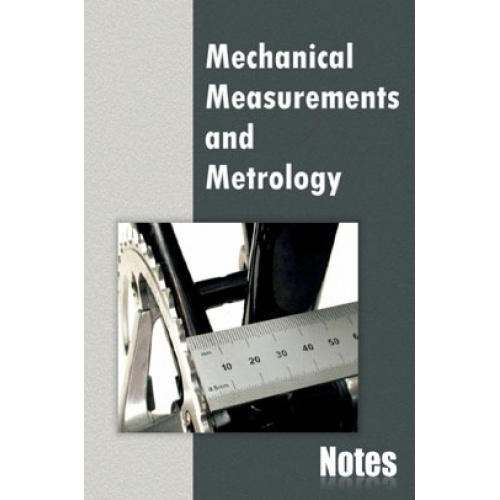 More advanced topics are dealt with in a companion volume - Mechanics of Materials 2. Each chapter contains a summary of the essential formulae which are developed in the chapter, and a large number of worked examples which progress in level of difficulty as the principles are enlarged upon. In addition, each chapter concludes with an extensive selection of problems for solution by the student, mostly examination questions from professional and academic bodies, which are graded according to difficulty and furnished with answers at the end. Ph.D., B.Sc. (Eng.) Hons., C.Eng., F.I.Mech.E., F.I.Prod.E., F.1.Diag.E. 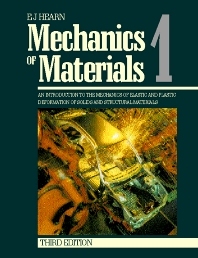 Engineering materials 1 -2nd edition.